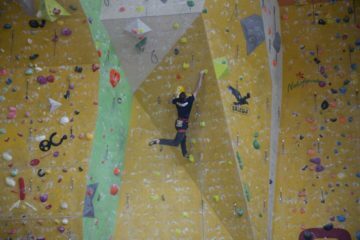 Photo courtesy Brothers Craft Brewing, Harrisonburg, Va. These days, you can cap off a long day of adventure outside with local wine, beer and spirits without traveling far. The woods have gotten so thick with makers of craft beer, wine, cider, and spirits that it’s become fairly easy to sort them into trails that can be visited over the course of a day or two. Pair them with easy access to the Blue Ridge’s bounty of outdoor hotspots and you’ve got a road trip. Not too long ago, Roanoke was thought of as an aging railroad town with few places to find local beer. That all changed after early 2012, when the Virginia city finished as runner-up to Asheville in the competition for Sierra Nevada Brewing Company’s eastern facility. Regional economic development officials started targeting the craft beer sector. The push paid off last year when Deschutes Brewery and Ballast Point Brewing & Spirits both announced plans to build in or just outside the Star City. The arrival of the West Coast brewers shouldn’t obscure the fact that Roanoke-grown brewers have also built up a hardy local scene. 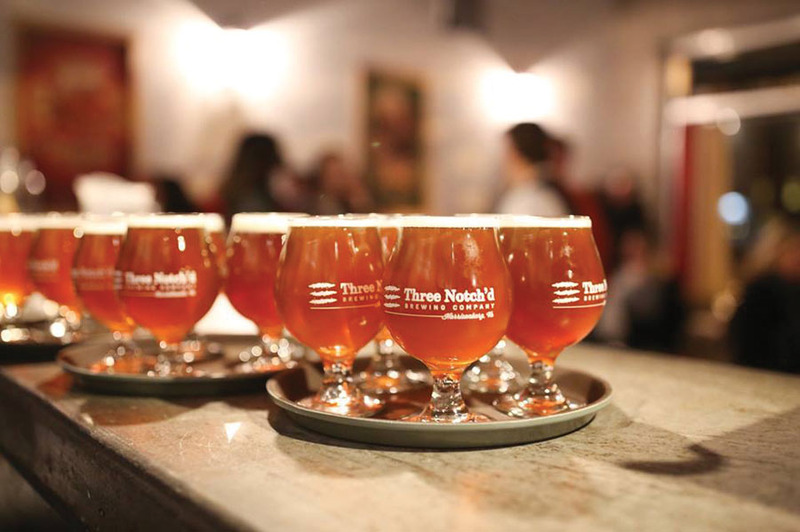 The Roanoke Valley’s embrace of craft beer comes at a time when it’s also pursuing status as an emerging outdoor city, attracting outfitters, putting on outside-centric festivals and touting the recreational opportunities that beckon just a few miles away. DO THIS: The Foot Levelers Blue Ridge Marathon Series attracts runners from around the world for its hills, but don’t overlook the Mountain Junkies Non Ultra Trail Series, built around 10K races building up to a trail marathon at Carvins Cove Natural Reserve. Road cyclists will find plenty of loops on and off the Blue Ridge Parkway, while paddlers can explore numerous blueway networks along the James, Blackwater, Pigg, and New rivers. DRINK THIS: The breweries along the beerway offer a wide variety of styles and settings. The Big Lick Brewery, located downtown, rarely brews the same recipe twice and has worked through dozens of different beers since opening in 2014. Its current location can get a bit packed on weekends, but the brewery is building a new facility up the road with a lot more space. In neighboring Salem, Parkway Brewing Company hosts live music in a lively space that’s become a friendly community gathering spot. Encompassing 27 wineries, craft breweries, cideries, and distilleries between Harrisonburg and Winchester, the Shenandoah Spirits Trail has a little something for everyone, or at least everyone of drinking age. It ain’t quite Napa, but the Shenandoah Valley is soaked in Virginia wine. Harrisonburg, meanwhile, has become a quiet mecca for craft brewers. Convenient to Shenandoah National Park and Skyline Drive to the east and George Washington National Forest to the west, the locations along the Shenandoah Spirits Trail are perfect for cooling down after a romp in the woods. DO THIS: Road cyclists will flock to Skyline Drive, which connects on its southern end to the Blue Ridge Parkway. Shenandoah National Park has more than 500 miles of trail and is open to backcountry camping, fishing and rock-climbing. Spelunkers will find an embarrassment of riches, from well-lit show caverns to wild caves that hide in unexpected places. There’s even a Virginia Cave and Karst Trail with a concentration of sites in this area. 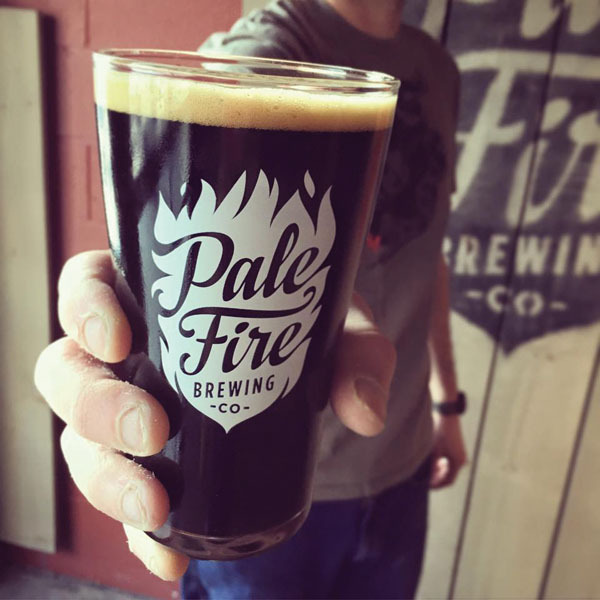 DRINK THIS: Harrisonburg’s Pale Fire Brewing Co doesn’t just make tasty beer, but offers an exceedingly comfy place to drink it. Located in a renovated ice house building, the brewery has sofas, a fireplace and an in-house library, among other features. 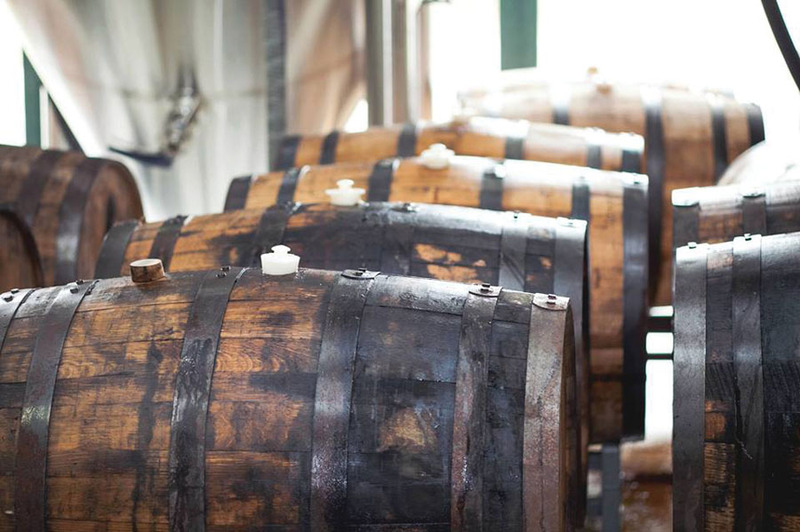 Or visit Winchester Cider Works, which ages its hard cider in brandy, bourbon, rye and rum barrels. Brothers Craft Brewing (originally Three Brothers Brewing) began production in late 2012 and hasn’t looked back. Visit its taproom, located in Harrisonburg, in the heart of the Shenandoah Valley, and try the Shifflett siblings’ take on the American IPA with Hoptimization. Or, if your tastebuds are feeling more adventurous, try Daylight Cravings, a maple coffee breakfast stout, or Eight Bells, a specialty ale modeled on blueberry French toast. Snuggled between the Shenandoah Valley and Charlottesville, in the shadow of Afton Mountain, the Rockfish Valley in the northern part of Nelson County, Virginia, has developed a pretty heady line-up that includes five wineries, three breweries and a cidery. Within just a few miles of one another, you’ll find Devils Backbone Brewing Company, Blue Mountain Brewery, Wild Wolf Brewing Company and Bold Rock Hard Cider, all of whom are making waves in the brewing world. And for outdoor attractions? Oh, just the highest vertical-drop cascading waterfall east of the Mississippi River. DO THIS: Like the Shenandoah Spirits Trail, Nelson 151 is just a mountain descent from Shenandoah National Park and Skyline Drive. Hikers, however, should not miss Crabtree Falls, a series of five major cascades and several smaller ones that plunge 1,200 feet. For more of a challenge, keep going to the Appalachian Trail, where you can head north to the Priest or south to Spy Rock, which presents 360-degree views. DRINK THIS: It’s hard to go wrong with any of the breweries or cidery along Nelson 151, but there’s a reason Devils Backbone has dominated the Great American Beer Festival and World Beer Cup: It makes great, German-influenced beer that goes well beyond the standard lager and IPA. Not far down the road at Bold Rock Hard Cider, visitors can watch tons of apples get crushed in a large cider press or just enjoy a beverage above the Rockfish River. 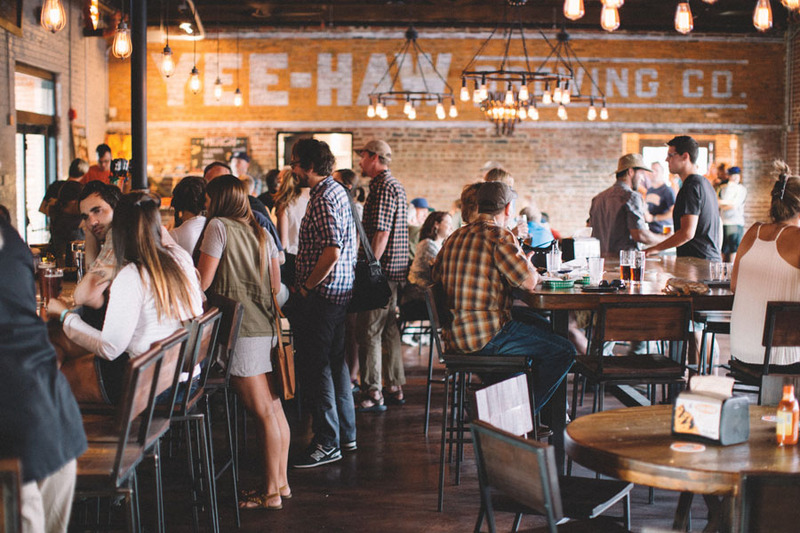 Roanoke is chomping at its heels, but Asheville still reigns as Appalachia’s beer city. Sierra Nevada Brewing Co. and New Belgium Brewing Company both built here because of the mountain mecca’s bubbling local scene. I still remember the outpouring after North Carolina lawmakers removed the state’s longstanding 6 percent ABV cap in 2005, inspiring the mad brewing scientists of Asheville to ever greater heights. Since then the brewers in Asheville and greater western North Carolina have taken it to the next level, expanding and experimenting with an ever growing number of styles. Their concoctions taste even better after a day spent in the nearby outdoor playgrounds of Pisgah National Forest, the Blue Ridge Parkway and Great Smoky Mountains National Park. DO THIS: The 30.1-mile Art Loeb Trail delivers vista after panorama after scenic view. If you catch Black Balsam in season, grab handfuls of wild blueberries along the trail for an on-the-go snack. Take along Charles Frazier’s Cold Mountain to read for context as you crest that particular summit. DRINK THIS: Pair your outdoor escapades with adventuresome beer at the Funkatorium, Wicked Weed Brewing’s dedicated taproom in the South Slope Brewery District, which has more than a dozen varieties of sour and barrel-aged beer on tap. Asheville Pizza and Brewing Co. is one of the best, most family friendly breweries in the Southeast, with sci-fi decor on the walls, a game room and cheap, late-run movies. Or, if you want to go old-school and explore Asheville’s beer roots, check out the Green Man Brewery downtown. Brewly Noted touts itself as the first multi-state beer trail, centered around the Tri-Cities of Bristol, Kingsport and Johnson City in northeast Tennessee and southwest Virginia. The region sits roughly equidistant between Asheville, Knoxville, and Roanoke, making it a great stopover that’s deserving of exploration in its own right. The Brewly Noted Beer Trail includes nine craft breweries. It comes with an app that not only allows users to check into various breweries and tap houses, but also awards koozies and t-shirts for visiting enough of them. 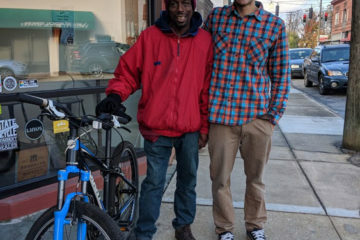 DO THIS: Cyclists should head east to the Virginia Creeper Trail, which runs 35 miles along an old rail bed between Abingdon and Whitetop, Virginia. Hikers and rock climbers, meanwhile, might think about going west to explore the the Great Channels of Virginia, a set of slot canyons that feel like a small slice of southeast Utah set in Appalachia. 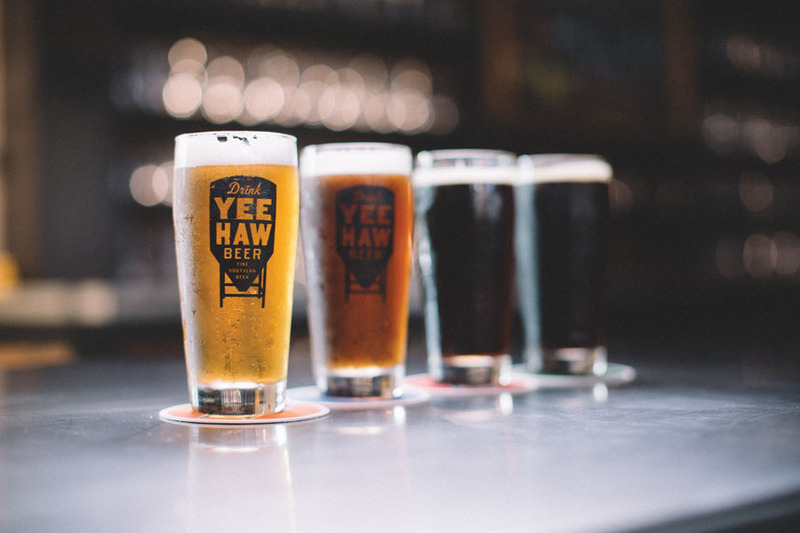 DRINK THIS: Johnson City’s Yee-Haw Brewing Co. makes a variety of beers that stand out from the pack, including its dunkel and maibock lager. On weekend nights, the brewery stands out as a destination in Johnson City’s growing nightlife scene. For East Tennessee’s spin on apples, check out the Gypsy Circus Cider Company in Kingsport, which makes ciders such as Raindancer, Queen of Swords, Fire Juggler and Vaudevillian.